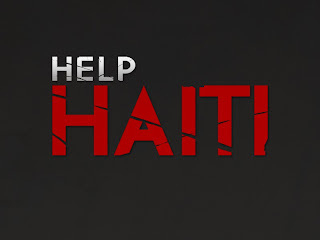 I know that most of you have been keeping up with the extreme tragedy in Haiti. There are many organizations that are collecting donations and finding ways to help. Mending Hands is joining this cause with a more personal recipient. A dear friend of mine and fellow third semester student at the Swedish Institute needs our help. She is from Haiti, and had just came back from the holidays to finish her Massage Therapy degree - leaving all of her family and fiancé in the hardest hit city of Port-au-Prince. She has gotten word that her sister, mother and father are Ok! Talk about amazing news, she received a text from a random number letting her know her fiance is alive! He has broken his arm but is otherwise fine! For those of you who have already donated, please know that these gifts will be sent to a hospital, clinic or charity of her choice. Those who still wish to help - please do! 100% of the donations are going strait to the people who need it, no administrative fees, no celebrity gimmicks, just hope and support. Thank you for giving and keeping families like this in your hearts!